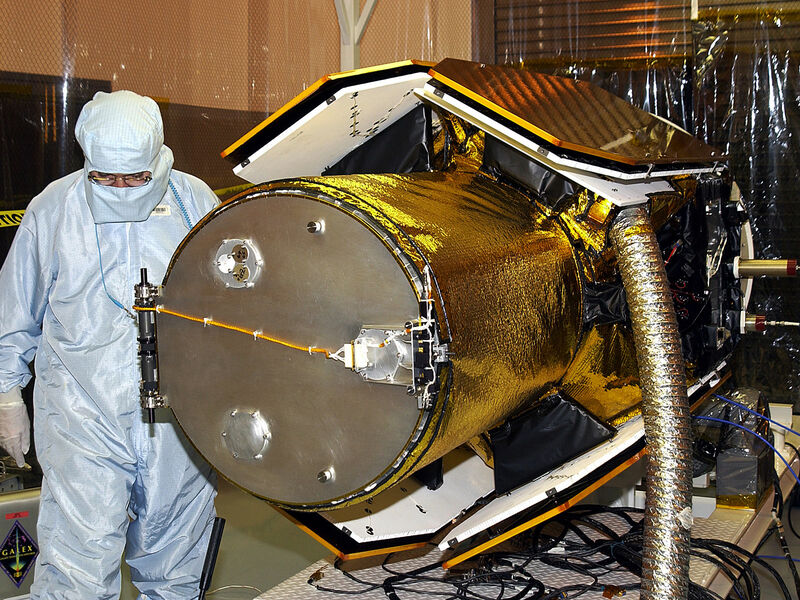 In the Multi-Payload Processing Facility, workers check the deployment of the cover of the telescope on the GALEX satellite. 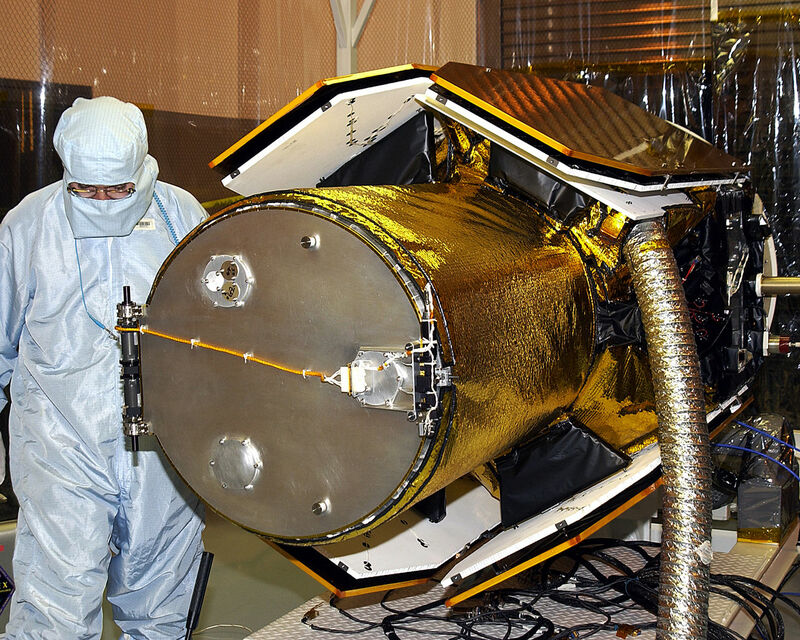 The Galaxy Evolution Explorer (GALEX) is an orbiting space telescope that will observe galaxies in ultraviolet light across 10 billion years of cosmic history. 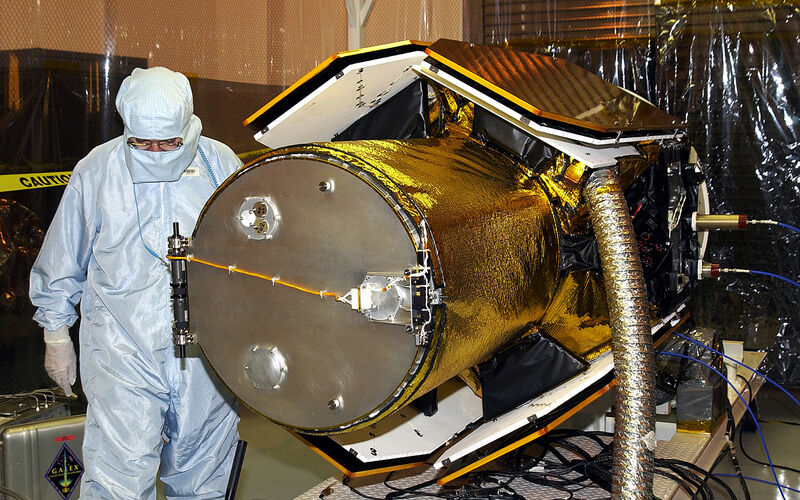 Led by the California Institute of Technology, GALEX will conduct several first-of-a-kind sky surveys, including an extra-galactic (beyond our galaxy) ultraviolet all-sky survey. During its 29-month mission GALEX will produce the first comprehensive map of a Universe of galaxies under construction, bringing more understanding of how galaxies like the Milky Way were formed. 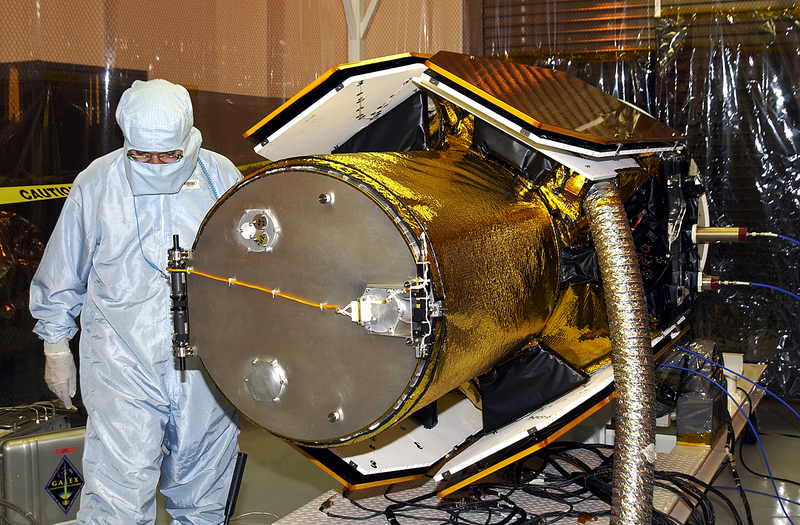 GALEX is due to be launched from Cape Canaveral Air Force Station March 25 via a Pegasus rocket. Engineers and technicians working on NASAs Mars 2020 mission prepare spacecraft components for acoustic testing in the Environmental Test Facility at NASAs Jet Propulsion Laboratory in Pasadena, California.